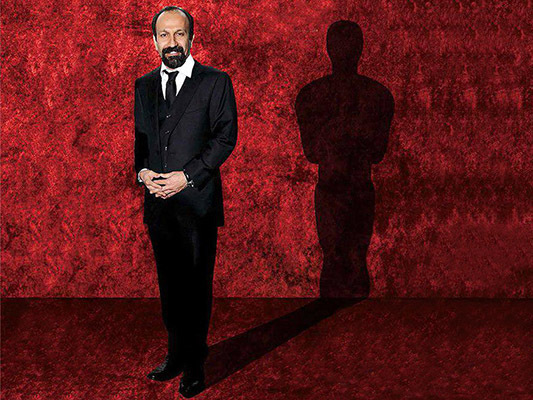 Several Iranian officials including First Vice-President, Foreign Minister, and Minister of Culture have offered their felicitation to Iranian filmmaker Asghar Farhadi after his latest film The Salesman won Iran the second Academy Award for Best Foreign Language Film. First Vice-President Es’haq Jahangiri also congratulated Farhadi and appreciated the cast and crew during his address to a national conference in Tehran. The award is valuable for two reasons; first because of the valuable and artistic making of the film, and second because of Farhadi’s correct and valuable move to boycott the Oscars ceremony to defend the Iranian nation’s rights against US officials’ inhumane measure, Jahangiri said. “The Iranian nation is a great and civilized nation to which the world is indebted. The false accusations raised against the Iranian nation should be responded to,” he added, according to a Farsi report by ISNA. Culture Minister Reza Salehi Amiri also congratulated Farhadi and the Iranian nation, and hailed his move to boycott the Oscars ceremony. “By the means of your art, you managed to help Iran’s message of peace resonate beyond geographical borders,” he noted, adding that Farhadi’s message was one of empathy and convergence. “Today the world admits that Iranophobia was nothing more than a deceit, and you tied the Iranian view of human pains to that of the world,” Salehi Amiri went on to say, as reported by Iran in Farsi. Foreign Ministry Spokesman Bahram Qassemi also hailed the achievement of the cast and crew of ‘The Salesman’ for winning the second Oscar for Iran. Qassemi congratulated the cast and crew of the movie as well as the Iranian cultural and art community over the achievement. “Once again … the ambassadors of Iranian art in international arts circles managed to convey to the world the voice of the noble Iranian nation, which is the voice of culture, civilization, dignity and national honor,” he said, Tasnim reported. It is a great pleasure that once again the proficient and diligent Iranian director, via his and his colleagues’ language of art, managed to deliver the Iranian people’s message of peace and friendship to the world, Qassemi added.